In The Rise and Fall of the Third Chimpanzee, scientist Jared Diamond cites 20 genocides since 1950, arguing that “genocide has been part of our human and prehuman heritage for millions of years”; that the seed of it is in all of us. Through Frank’s life and those of lawyers Hersch Lauterpacht and Raphael Lemkin, Professor Philippe Sands QC, in East West Street, traces the development of two legal concepts that have become part of the vernacular but whose raison d’être is under threat of being forgotten: crimes against humanity and genocide. The book weaves the stories behind these ideas with the author’s family history, including the life of Elsie Tilney, an English missionary devoted to the Jews who, in 1941, found herself interned at a camp in Vittel, France, where she seriously risked her own safety by hiding a young Jewish boy for six months, just as the Nazis had begun sending them piecemeal to Auschwitz. When the Americans liberated the camp in 1944, the boy’s fellow internees were astonished to see him alive. In a year that has seen tribalism flourish and the rise of erstwhile political pariahs, with more surely on the horizon, Professor Sands said that “horrors begin with modest proposals” and that Brexit “seems to have given a green light to public displays of xenophobia”. “I have seen it for myself, in the racial abuse of an Indian colleague and in an anti-Semitic attack on a woman who appeared in my film My Nazi Legacy. The experience of the 1930s teaches us that the horrors begin with modest proposals – like requiring a company to list the foreigners who work for it – and then they slide inexorably to the next stage. The idea of ‘them’ and ‘us’ has a renewed currency these days, a matter of great danger,” he said. 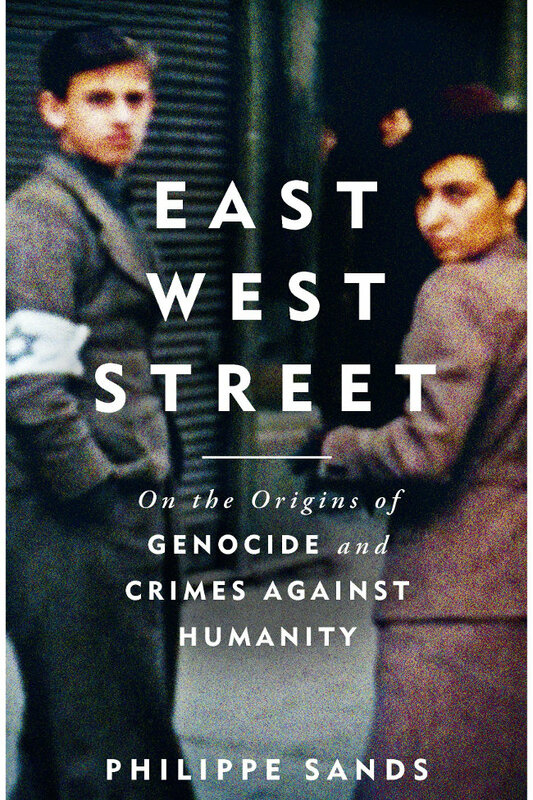 East West Street: On the Origins of Genocide and Crimes Against Humanity by Philippe Sands. Pub by Penguin Random House, 448pp. £20 (Hardback).